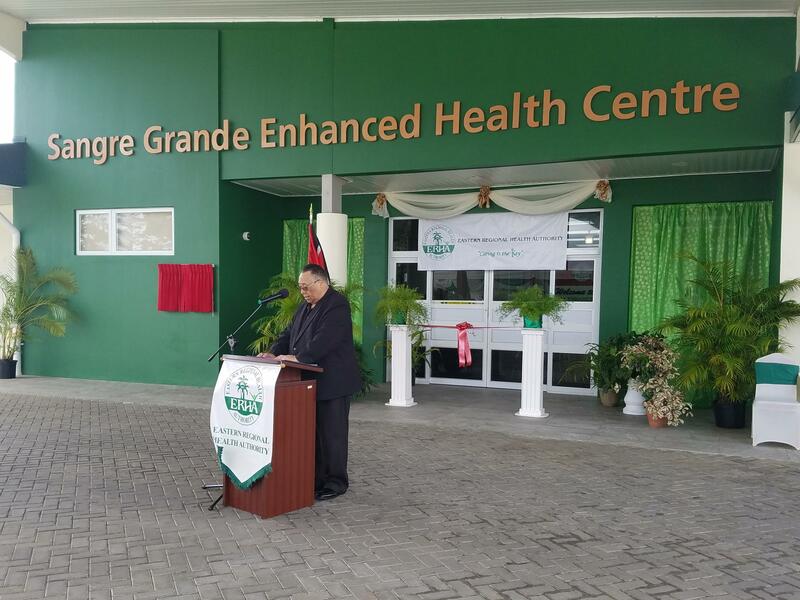 The Honourable Terrence Deyalsingh, Minister of Health officially opened the Sangre Grande Enhanced Health Centre on Saturday 12th January, 2019. 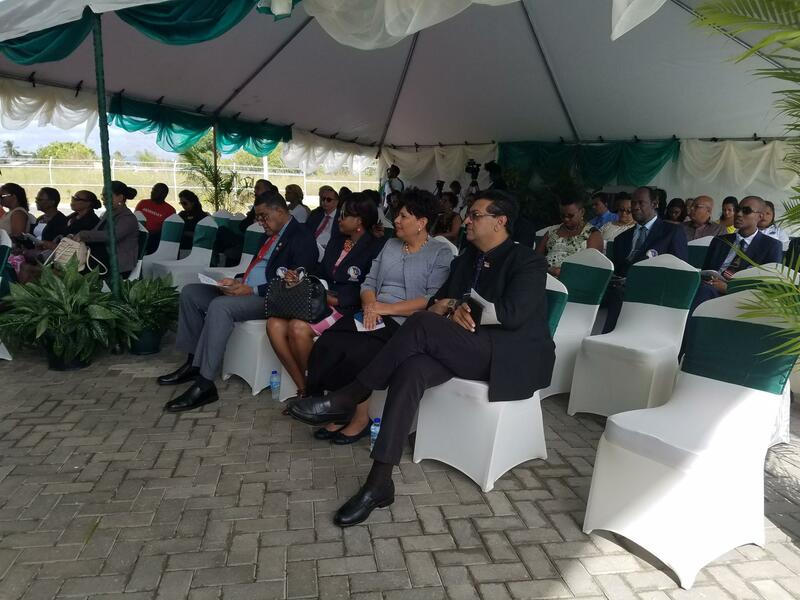 During his address Minister Deyalsingh reminded the audience to make healthy choices with their diet, to exercise and to accept personal responsibility for their lives. 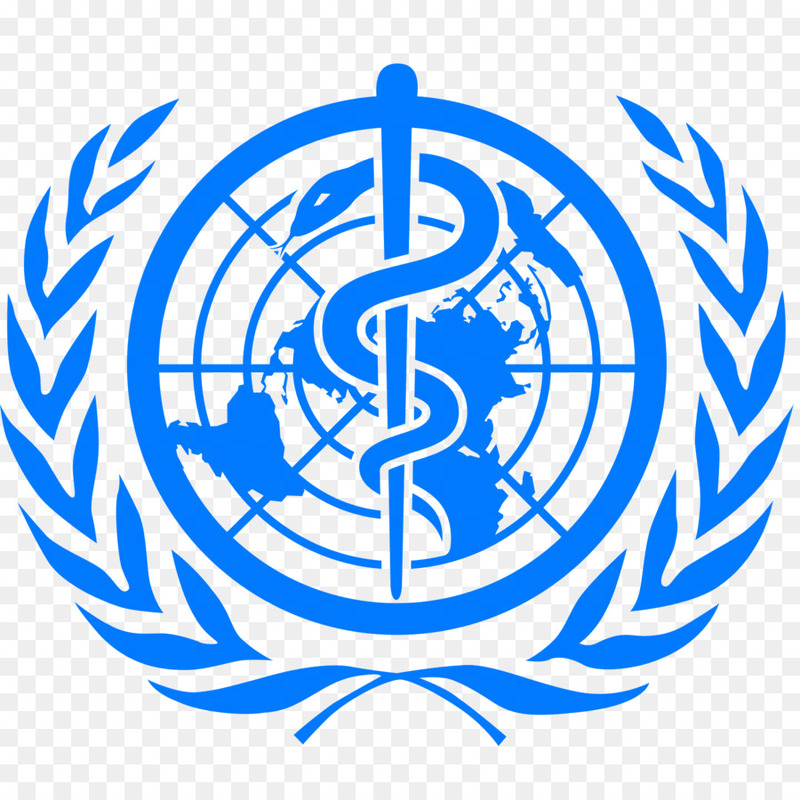 He also encouraged persons to be immunized against the influenza virus. The programme also featured other speakers who delivered remarks. 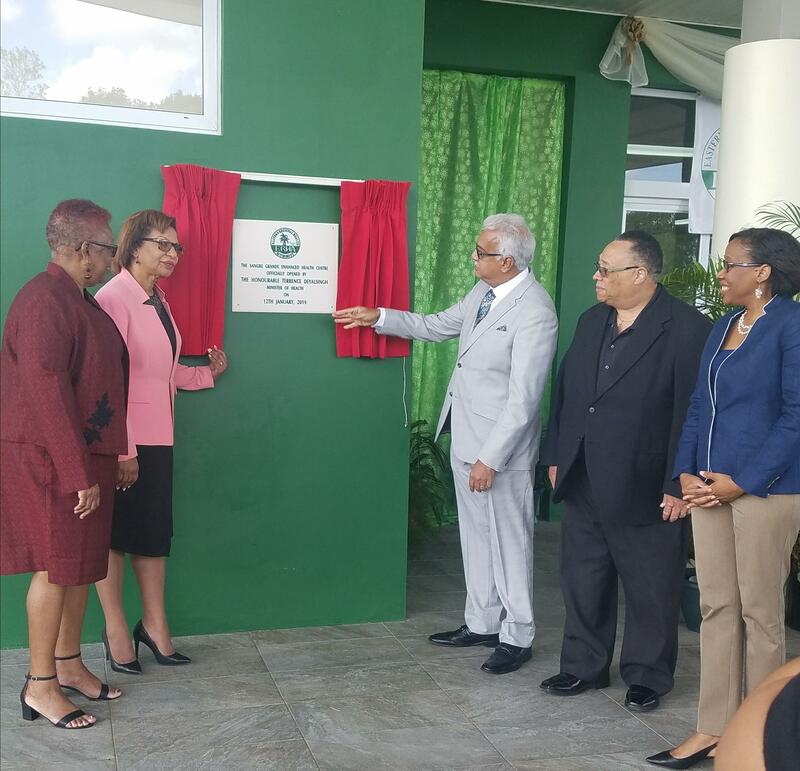 Dr. Allana Best, County Medical Officer of Health (Ag.) welcomed the audience and Mr. Ronald Tsoi-a-Fatt, Chief Executive Officer provided an overview of the project and statistics to demonstrate that the services being offered are appreciated by our citizens. 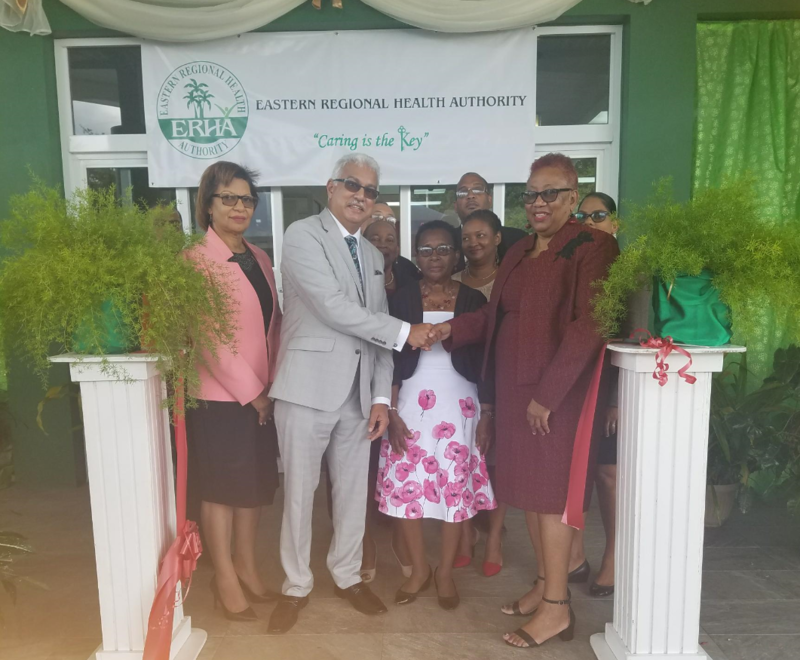 This was followed by an address by Ms. Esme Rawlins-Charles, Chairman of the Eastern Regional Health Authority who indicated that it was nice to know that the communities we serve were happy with our efforts and she encouraged our clients to respect the facility. 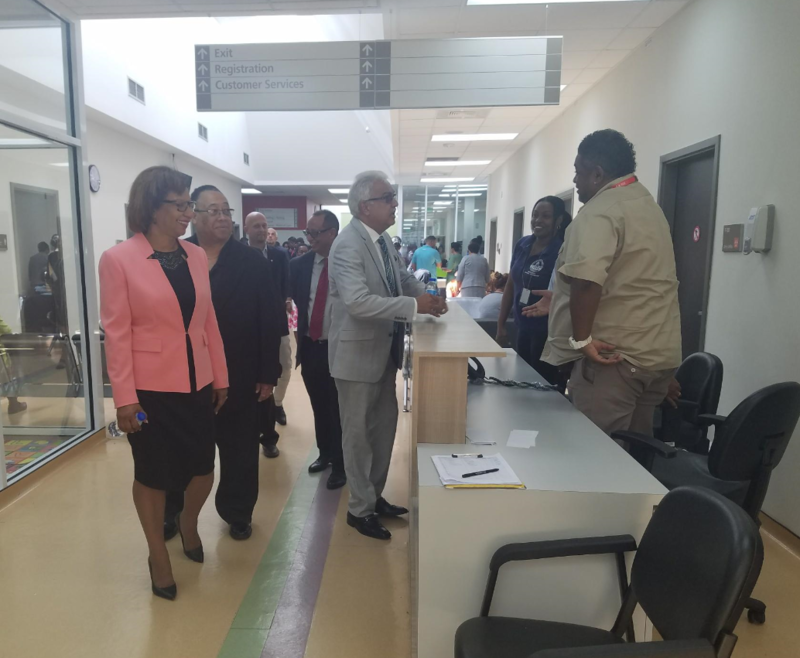 The Member of Parliament for Toco/Sangre Grande, Ms. Glenda Jennings-Smith congratulated the ERHA and indicated that the people of Sangre Grande were happy for the new services being offered. Ms. Anjanie Singh-Gyan, Area Administrative Officer, St. Andrew/St. David moved the vote of thanks which was followed by the unveiling of the plaque, the cutting of the ribbon and a tour of the facility. Mr. Terry Rondon, Chairman of the Sangre Grande Regional Corporation, Ms. Elizabeth Wharton, Councillor for Sangre Grande Northwest, Ms. Christine Newaloo-Hosein, Member of Parliament for Cumuto/Manzanilla and Mr. Rushton Paray, Member of Parliament for Mayaro (front row, L-R) and other specially invited guests at the opening ceremony.